We don’t hear too many good stories about schools, classrooms and teachers these days. The newspapers focus on failing schools, teacher evaluations, low scores…negative, negatives, and negatives. I’d like to occasionally show some examples of teachers who are on a quest for providing the best and most appropriate educational climate for their children. Sometimes this involves taking baby steps towards change. That’s ok. Babies don’t just get up and walk. They first crawl, and then they often “cruise” around a room to build their walking confidence. Then, one day they’re walking their way around their little world. I’m going to share a little snapshot of Katie and Andy’s classroom. 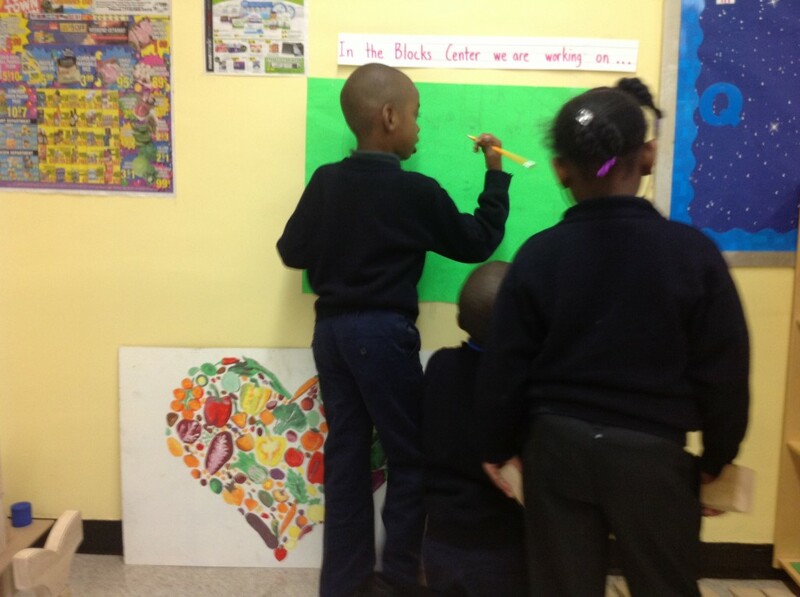 They teach first grade in a UFT sponsored charter school in East New York Brooklyn. This is an economically poor, mainly African American neighborhood. Many children live in shelters or in foster homes. When I visited Katie’s class last year, children sat at desks that were set up in rows facing the front of the room. The teacher taught. The children listened and copied work written on the wipe board that was behind the teacher. There were no centers. No art center. No blocks. No science center. You can get the picture. 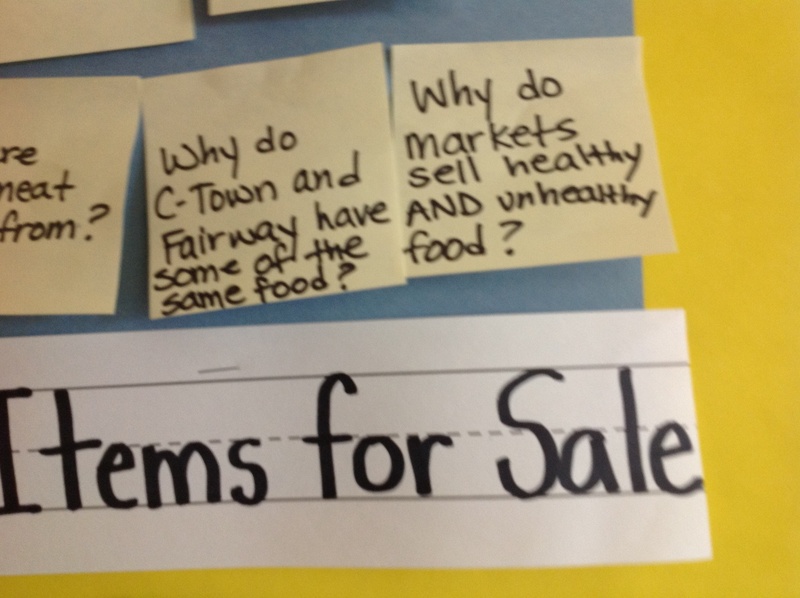 What I’m sharing today is the start of a Market Inquiry Project that they are involved with this fall. They’ve visited many markets in and out of the neighborhood. They went to a local community farm and they are planning on visiting a large farmer’s market in Manhattan. What they decide to see and explore is directed by the students’ questions and by their prior knowledge. After a trip, the teachers ask the children how they would like to represent their new information. Out of this discussion, the centers for the week are set up. 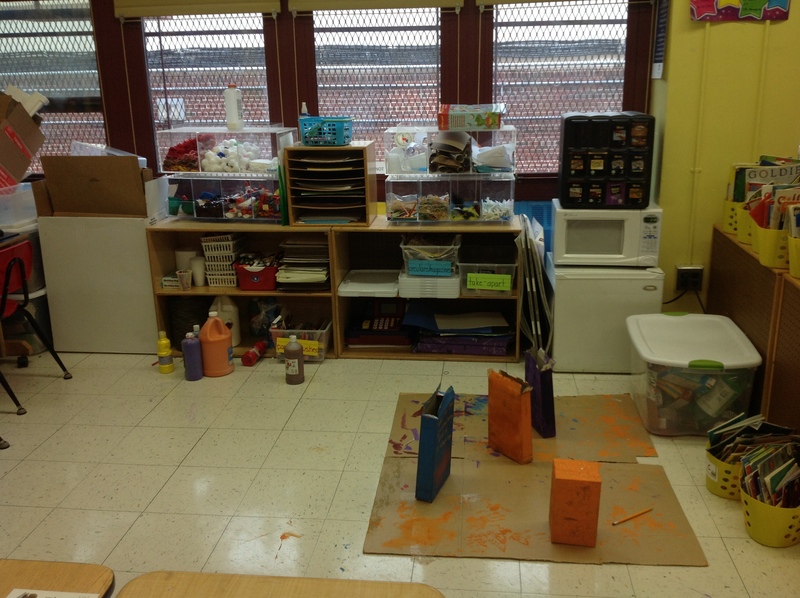 The class now has a block center and also a nicely stocked art center. The desks are arranged in clusters so that children can collaborate on projects. Discussion and collaboration are becoming an important instructional goal this year. 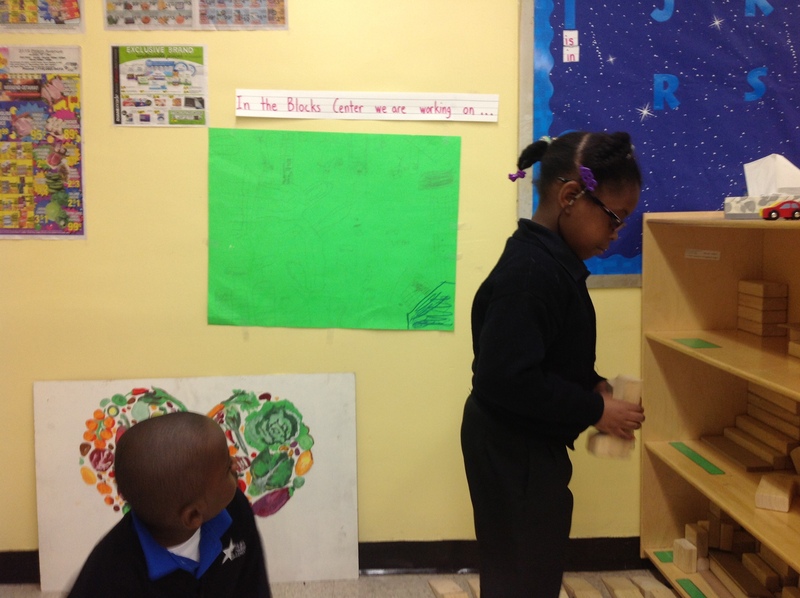 In the block center the children are building a supermarket. Before they began their construction they worked together to draw a plan. This was posted in the center to be used as a building reference. As they made changes in their building, children returned to the original plan to revise it. The day that I visited the classroom, they decided that their market would have a drive-in restaurant! Because they noticed many signs in the market, a sign-making center was set up. 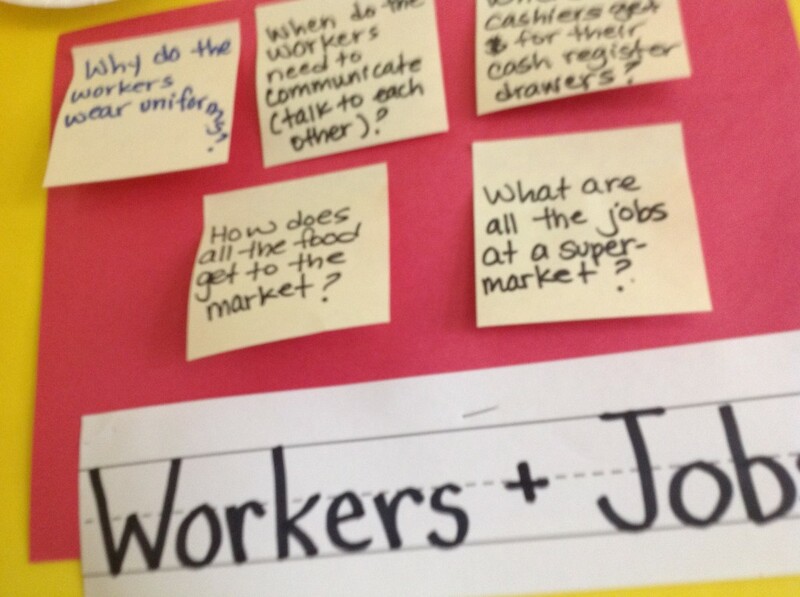 These signs were brought to the children working in the block center. Another group of children were making products for the market. There was another center where children were making bilingual circulars. I couldn’t quite understand what was happening at the center until one of the children picked up a pile of advertising circulars to show me. The teacher explained that when they visited a Target store the children noticed that many signs were in English and Spanish. They were studying Spanish in school and decided that their market would have English/Spanish circulars. I was particularly intrigued by the group of children who were sitting on the floor working on a writing project. They told me that they were writing a play about a mother who was shopping in a market with her child. Now they were writing the script. At the start of the school year, for first graders, so much of the effort at this point was in actually determining how to write each word. The children’s collaborative effort in figuring out the spelling was impressive. A year ago, children telling each other how to spell a word might have been reproached for cheating! Now, it’s considered collaboration and it’s celebrated. I feel like I would like to celebrate the giant steps that Katie and Andy have taken towards creating an exciting, creative, collaborative first grade classroom! 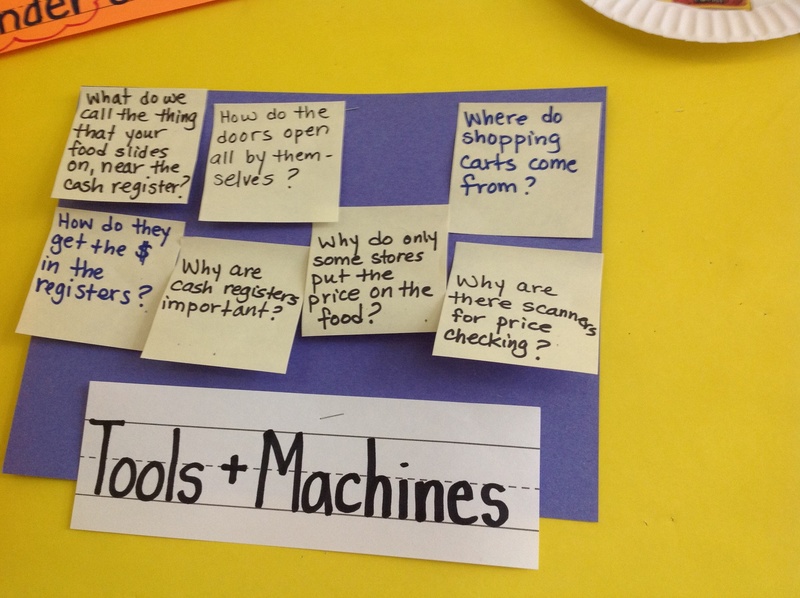 This entry was posted in Investigating Choice Time: Inquiry, Exploration, and Play and tagged baby steps, first grade, script writing, sign-making on November 19, 2013 by Renee. Thank you. Once again you have provided us with hope for the teaching profession. I know I repeat myself, but this was the way I was trained back in 1970 to teach young children. 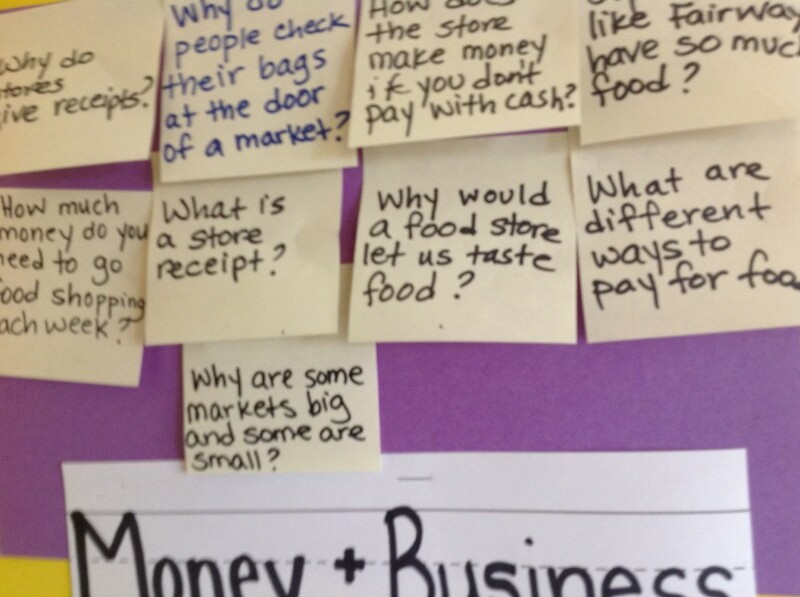 Lots of centers, lots of art work, blocks, inquiry-based learning, projects, trips to the grocery store every week to prepare snack for the class, science projects that were hands on – children each had their own meal worm to study –and generally joyous learning. Children wanted to read so they could engage with the materials that the teacher herself made by hand. There were few things to be purchased already made so teachers invented their own centers, games, inquiry sets, reading cards, and more, investing in teaching every method possible for the children to learn how to read. 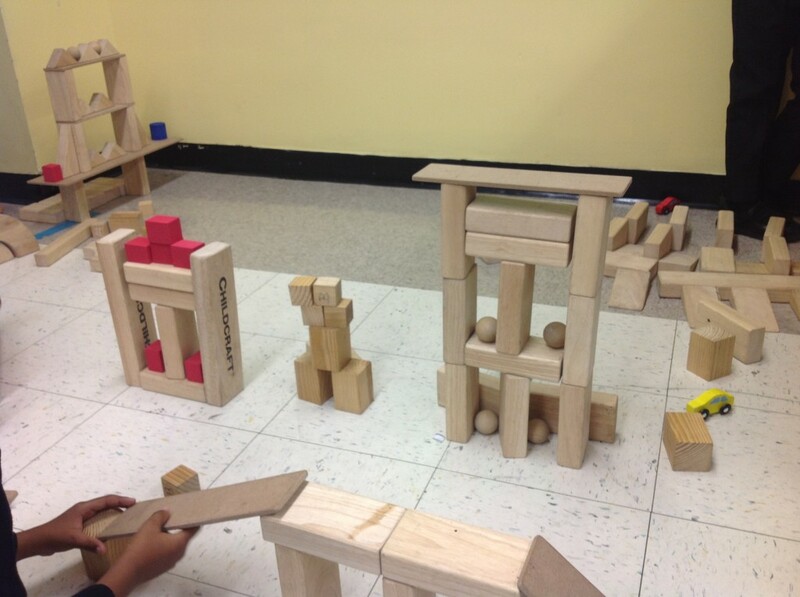 The children in these classrooms will grow and thrive if they are allowed to continue to build blocks, make plans, investigate, collaborate, etc. Thank you! I am so glad you posted this!! It does give me hope and I just love all of the noisy, organized chaos going on in the background. It is things like this that make me want to return to the classroom!! I sent this along to other teachers as well as my own kids Kindergarten teacher via facebook!! This is just plain smart and look at how totally engaged these kids are!